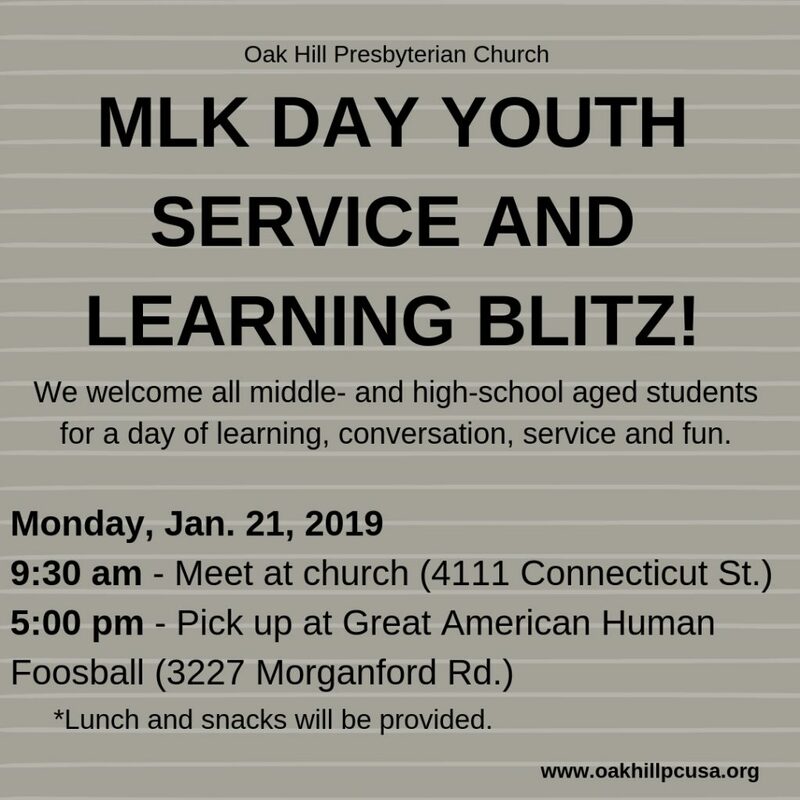 Join us for our annual MLK Day Youth Service and Learning Blitz. Middle- and High- School students are invited to spend the day learning about Dr. King, serving their neighbors, oh, and having some fun, too! This year, we’ll meet at church, share in a bit of conversation, then work on some care project for our un-housed neighbors. Then we’ll go downtown to Christ Church Cathedral and participate in their MLK Day tradition of reading Dr. King’s works, from the pulpit where he spoke in 1964. We’ll have lunch and snacks, of course, and we’ll finish out our day with some fun at Great American Human Foosball. Please contact Pastor Erin (erin.counihan@oakhillpcusa.org) to RSVP. But also know we’re pretty flexible and always welcome last minute additions. Adult volunteers are always needed to help drive and provide supervision.